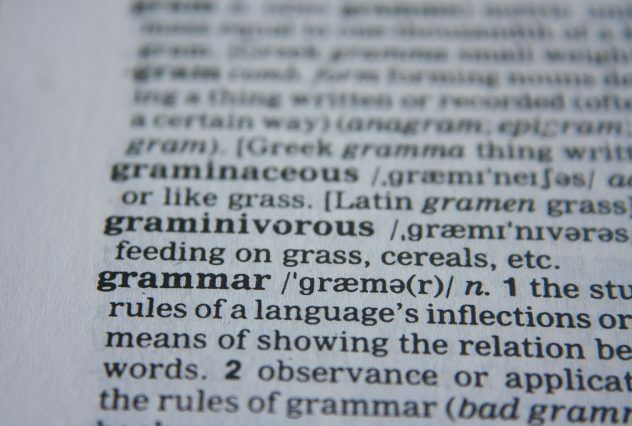 Grammatical Range and Accuracy accounts for 25% of your total writing and speaking scores, and because of this, IELTS candidates need to be familiar with the types of sentences assessors are looking for when marking exam scripts or interviewing test takers. My mother doesn’t like shopping. My husband and I go dancing every weekend. That ugly pink jumper has been donated to charity. A compound sentence has TWO independent clauses and they are usually joined with a co-ordinating conjunction. An independent clause could also be one simple sentence. She‘s tall but her brother is short. My mother doesn’t like shopping so my father does all the weekly shopping. My husband and I go dancing every weekend and we feel very tired afterwards. The thunderous heavy rain has stopped us from going out, yet my sister had no qualms about going shopping. A complex sentence contains ONE independent clause + ONE or MORE dependent or subordinate clauses. A dependent/subordinate clause cannot be a complete sentence. She‘s tall which puts her at an advantage when playing basketball. My mother doesn’t like shopping when it’s raining. My husband and I go dancing every weekend if we are not busy with the children. The thunderous heavy rain has stopped us from going out because we’re afraid of getting wet. The dependent/subordinate clause relies on the independent clause to form a complete relationship. which puts her at an advantage when playing basketball. if we are not busy with the children. because we’re afraid of getting wet. cannot stand alone as complete sentences. Each is a part of a sentence and depends on the other clause to make sense. They are joined by subordinating conjunctions (eg. which, when, if, because, after, since, etc) but there are too many of these conjunction types to list here. A Compound-Complex sentence has 3 or more clauses, usually 2 independent clauses and 1 subordinate/dependent clause. This is quite commonly used in speaking. She’s tall, which puts her at an advantage when playing basketball, but her brother is short and that’s why they don’t like playing together. My mother doesn’t like shopping when it’s raining so my father does all the weekly shopping. My husband and I go dancing every weekend if we are not busy with the children and we feel very tired afterwards. The thunderous heavy rain has stopped us from going out because we’re afraid of getting wet, yet my sister had no qualms about going shopping. As an IELTS candidate, you don’t really need to understand all these technical terms when you speak or write but it helps to know what the different types of sentences are and therefore understand what your examiner wants from you. You will need to show a range of structures to be able to do well in the Grammar criterion and when you practise doing your IELTS essay or interview, pay attention to the kinds of sentences you are producing. Make sure that you display a wide range for you to achieve at least a Band 6 where you use “a mix of simple and complex sentence forms” in IELTS Writing Task 2 and IELTS Speaking.